On January 16th, the BTL team met with its new partners CelluFuel and Boralex to establish the first step of the collaborative research project. A good opportunity to catch up and to plan the work for this new and innovative project. 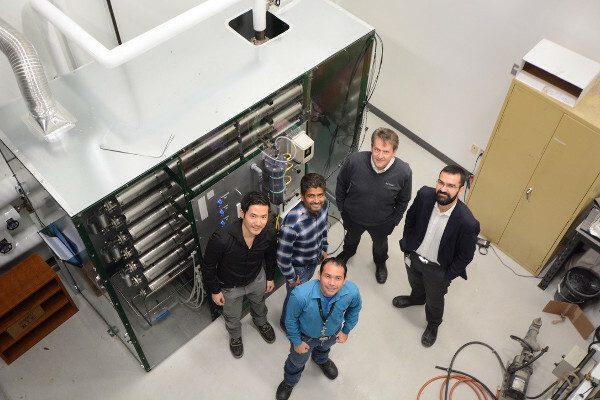 (On the picture from the back left to the front left: Dr James Kong Win Chang – CelluFuel, Dr Rajesh Munirathinam – BTL, Mr Gabriel Ouellet – Boralex, Pr Jean-Michel Lavoie – BTL and Mr Ivan Jose Acosta Morales – BTL).